Precision forging is a clear and progressive approach to forming. With a range of techniques it is possible to economically produce the smallest parts to massive industrial parts for large scale manufacturing. 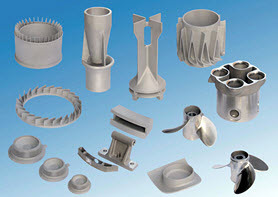 With the additional control and accuracy achievable through precision forming techniques it is possible to attain a range of cost and quality advantages. Today, systematically designed forging processes are being performed in controlled presses and hammers to produce forged shapes with a high degree of dimensional accuracy and structural integrity. Forgings range in size from very small, weighing only a few grams, such as the parts shown in Figure 1-a, to component products weighed in tons, such as the 450,000 pound generator shaft Figure 1-b. The term forging is applied to several processes in which a piece of metal is shaped to the desired form by plastic deformation of a simple starting form such as bar, billet, bloom or ingot. 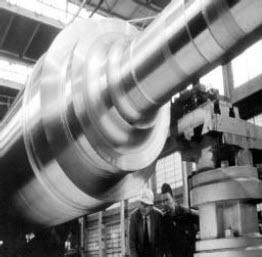 The energy that causes deformation is applied by a hammer, press, upsetter or ring roller, either alone or in combination. The shape is imparted by the tools that contact the workpiece and by careful control of applied energy. 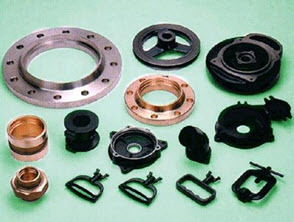 In the process of forging metal, there are a variety of techniques utilized, depending on the needs for the product designed and the stage of product manufacturing. Often, forging is meant to shape the metal; however, some techniques go beyond shaping. Precision forging is more of a refinement process than a shaping process. When a product is near completion, precision forging is done using existing forging technology to refine the product to the point that little or no further machining is needed before using the product for its intended purpose. Usually, after the precision process, final touches are done to the metal before either shipping or using the product in another part of the manufacturing process. 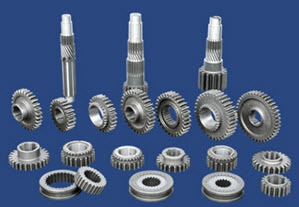 In conventional precision forging the material is formed at ambient temperature or in semi-hot conditions. 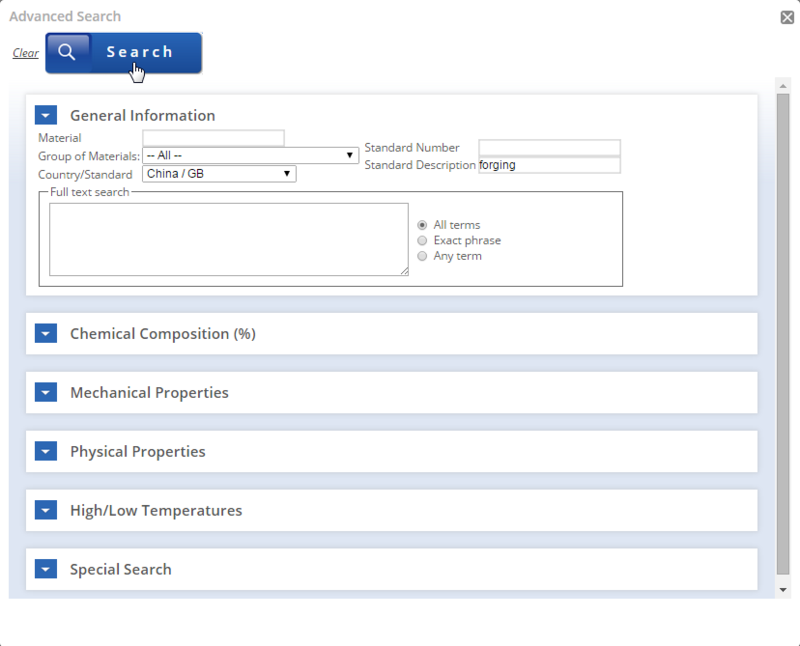 In the case of very complicated parts, a properly prepared charge is hot formed in isothermal conditions. Sometimes the super plasticity of the formed material is exploited. Initially, enclosed dies were used for forming. Thanks to the material savings and the lower costs of manufacturing products with enhanced properties at competitive prices, precision forging was increasingly applied to alloys of materials such as steel, aluminum, magnesium and titanium. The expression precision forging does not mean distinct forging process but rather approach to forging. The aim of this approach is to produce a net shape, or at least a near-net shape parts. Precision forging is sometimes described as close-tolerance forging to emphasize the aim of achieving required the dimensional and surface finish tolerances only after forging. 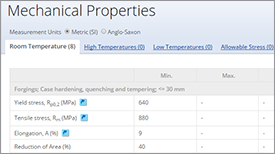 Precision forging at ambient temperature, i.e. cold forging, is preceded by making a slug in a few hot forging operations. In conventional hot forging in half dies a substantial amount of the material is lost for the flash and allowances. For this reason closed-die forging (often employing complex formation, i.e. forward and backward extrusion) was adopted to make preforms for precision forging. Extrusion forging has this advantage in that the stress is mostly triaxial compression whereby large deformations can be obtained without losing material cohesion. 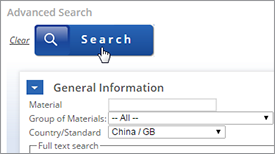 In addition, no die drafts are used in precision forming. 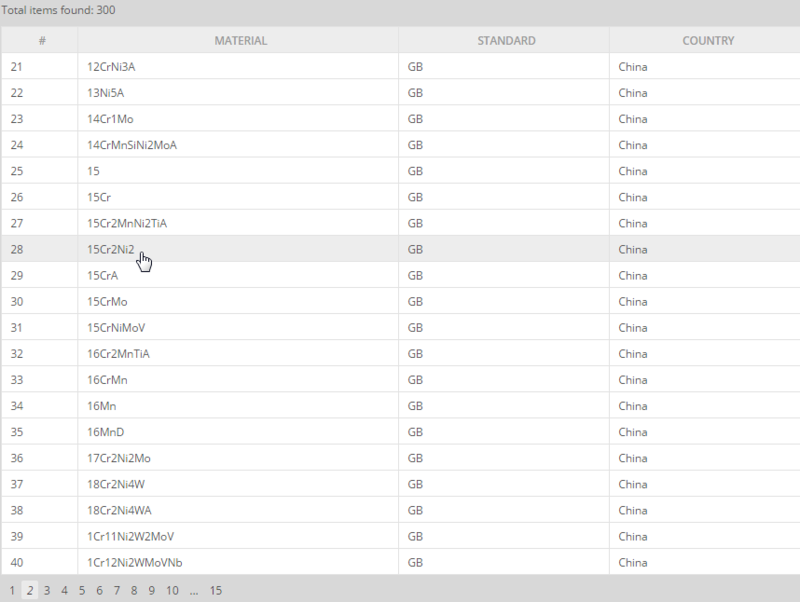 The whole manufacturing process is generally divided into stages. 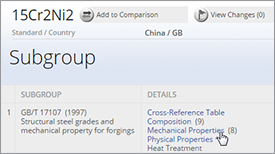 As an example, the process of manufacturing a low-carbon steel product is shown in Figure 2. Metal bundles are delivered from a storeroom to a machine which cuts the rods into pieces with specified dimensions and weight. Then the pieces are heated up to a temperature of about 900°C in an induction furnace. A constant process temperature must be maintained in order to ensure high quality of the forgings. Preforms heated up to a proper temperature are fed into a press where they are formed in 2–5 operations. The dies are preheated to a temperature close to the operating temperature to reduce the risk of die cracking as a result of thermal shock. The forging process lasts only a few seconds. The stability of the process and control conducted according to plan ensure high quality of the forgings. When they leave the press the forgings are subjected to controlled cooling. Then they go to a shot peening machine where they are cleaned from graphite. The clean forgings go to cold working where they are oiled and cold formed. In this way the precise shape of the finished forged product is obtained. After cold forming the forgings are washed and greased. 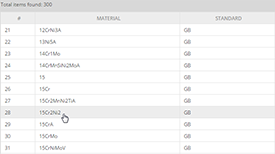 Reduction in material input weight. Plastic deformation of base material producing grain flow in the general shape of the part providing superior structural integrity and strength. Superior strength in the transverse and short transverse directions. 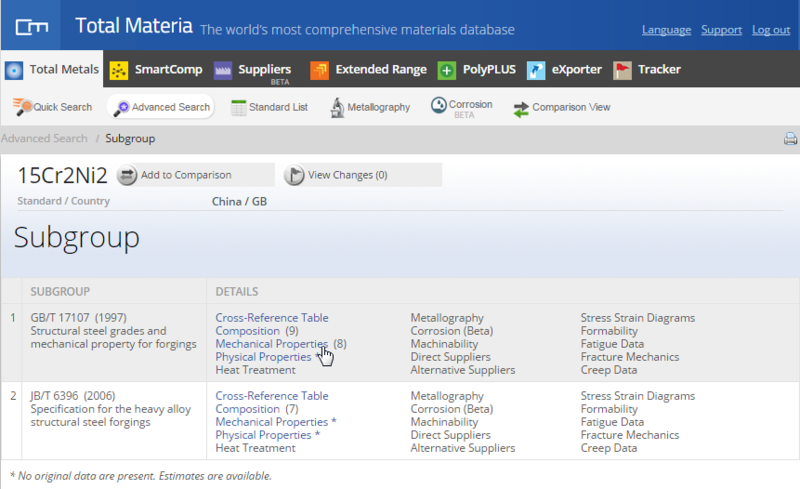 The Total Materia database contains many thousands of forging materials across a large range of countries and standards. 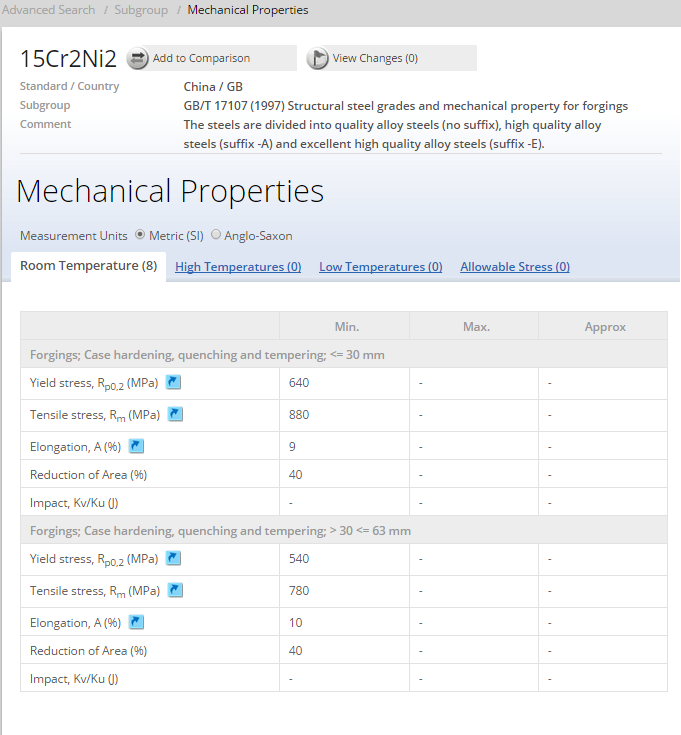 For example, by clicking on the mechanical properties link on the subgroup page it is possible to view mechanical properties data for the material including yield stress, tensile stress, elongation and impact data.